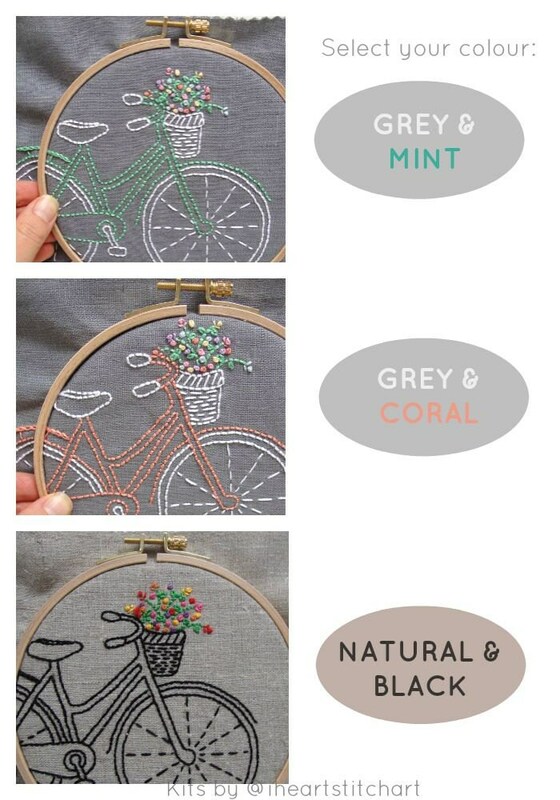 This bicycle embroidery kit is so much fun to stitch! 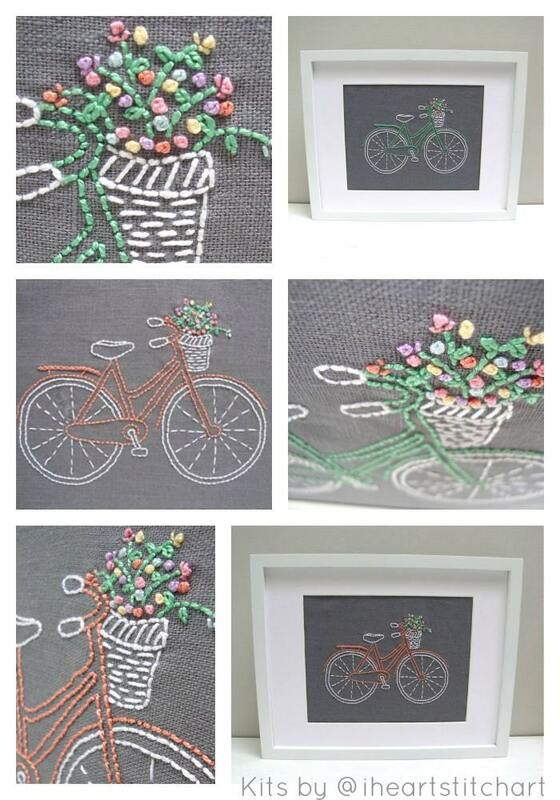 Nothing says 'relax' like a vintage bike with basket brimful of flowers. 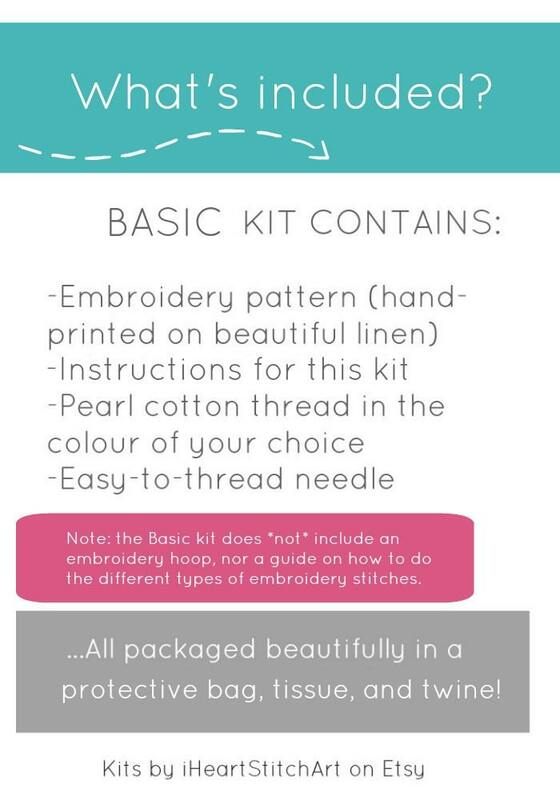 You will need your own embroidery hoop and to be familiar with the stitches. 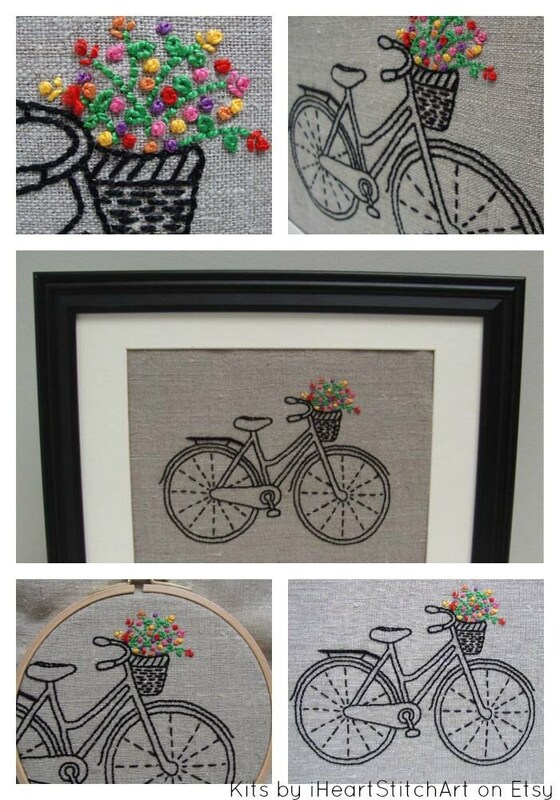 I recommend working with a 6" embroidery hoop, but if you would like to frame your finished bicycle in a hoop, you will need a larger one (at least 8")! *All text, images, and photos are copyright iHeartStitchArt. Lovely product, just as expected. I requested to amend my order just after I'd placed it and Sarah was lovely...helpful, gracious and prompt, she went above and beyond my request. It came beautifully packaged(to England from Canada) within only a few days, in spite of my change of order and unexpected snow in Canada and was a pleasure to receive. Since it was a gift for me with Christmas money this made it feel special. Thank you. 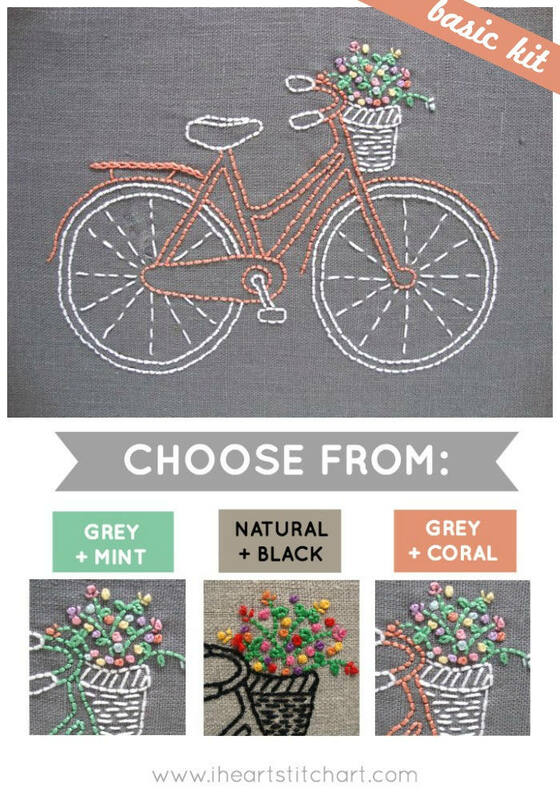 Quick and easy project that turned out nicely and made a great gift for my mom, an avid bike rider. I love the mint color!